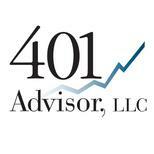 I will be speaking at a conference in Atlanta hosted by Ceros Financial Services this Friday, May 4. I will be on a panel including David Botset Sr. Vice President, Portfolio Strategist, Guggenheim Investments and Michael Cafiero of Knight Capital Group. The group will be discussing the role of ETF’s in portfolio management with a focus on controlling market volatility.